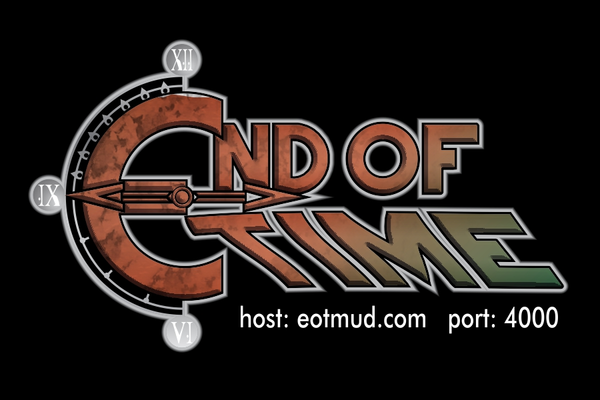 With over 13 years of steady development, End of Time is one of the most feature rich, largest text games in the non-commercial, 100% free area of the genre. In that time, we have crafted a very original game that boasts numerous features that you won't find on any other game. While our theme encompasses the majority of the classic Final Fantasy games (up to 10) along with Chrono Trigger & Chrono Cross, familiarity with these games are in no way necessary to play, enjoy or understand End of Time; however if you are nostalgic for the days of classic JRPGs then End of Time is the right game for you! The game is set in an original world that is a patchwork of elements across the games we based our theme on, with at minimum of thirty years having passed since any of the events from our source material making for an intricately woven backstory. Explore a rich, huge world complete with a unique overworld map with nine starting races and four starting classes available from creation, with more options for both available in game. Other features include a detailed character creation (with options for quicky or random character generation), fully customizable limit breaks, a deep magic system unlike any other game, a fast paced overhauled combat system, group combo technique skills, dozens of unique skills and spells, and so much more.